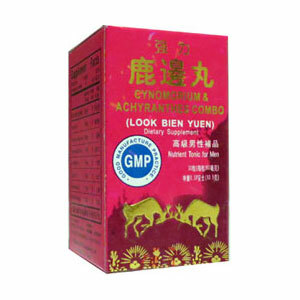 Promotes vitality and hematogenesis, strengthens muscles and bones, relieves fatigue, increase memory, and invigorates the renal and sexual functions. An herbal supplement that helps promote male rejuvenation and performance. Decline of sexuality, aching backbone, cold limbs, nervousness, tiredness, impotence, ringing ears, cardiomalacia, and arrhythmia, exhaustive thinking, restless, anemia, decline of memory, and sexual excess.